In the latter half of last year, Niantic finally introduced the third generation of Pokémon in Pokémon GO. As a result, the bug type Pokémon Wurmple could finally evolve into Silcoon or Cascoon, who would in turn evolve into Beautifly or Dustox respectively. Let's address the elephant in the room right away though: it doesn't look like, at present, there's a reliable method of securing a Silcoon or Cascoon evolution. It seems to be totally random, though certain players beg to differ. 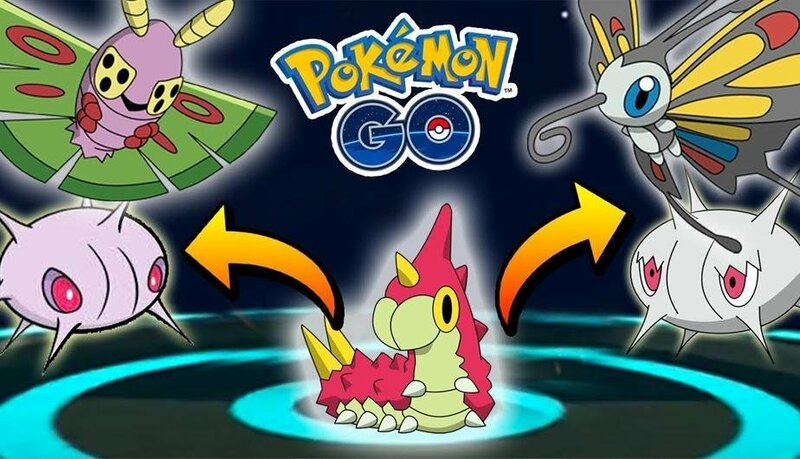 In this guide, we'll round up the Wurmple evolution theories to give you a few methods you can try if you're really keen on getting a particular Wurmple evolution. Be warned though: there's little evidence or research out there to suggest that any of these theories work reliably. The problem with Wurmple is that there doesn't appear to be a reliable method of forcing a particular evolution. Eevee can also evolve into a variety of different Pokémon, but you can choose your evolution by simply renaming your Eevee. The community is equally split. Many claim that Wurmple evolves into Cascoon if evolved during the day, and Silcoon if evolved during the night. Others claim it depends on Wurmple's highest IV, though there has been no clear evidence that either work consistently so far. We'll update this guide when a definitive answer has been found, but in the meantime, try and evolve your Wurmple at a specific time of day or evolve them based on highest IV to do your own research. Share your findings in the comments and perhaps we'll crack this once and for all. How did Wurmple evolve in Ruby and Sapphire? 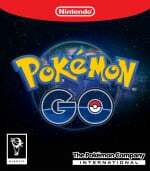 Another problem is that Pokémon GO doesn't have a personality system, which was the defining factor in knowing what evolution you were going to get in Ruby and Sapphire. There wasn't a way to change the evolution there either, to be clear. Your Wurmple would just evolve get a particular evolution based on its personality, but at least there was a reliable method of knowing exactly which evolution you'd get ahead before you spent all that time evolving your Wurmple. So there's nothing I can do to get the Wurmple evolution I want? Players the world over are still trying to figure out just what the heck is going on with Pokémon GO's iteration of Wurmple. Given the lack of evidence otherwise, we're inclined to believe that it's entirely up to chance which type you end up with. Quite a misleading title and a time-wasting article. Title: How to do thing. What is up with these Pokémon Go articles recently? They don't seem to be fully answering questions properly, it's slightly strange. I guess someone is trying to justify their job by posting crap articles with no content. Good grief! @GloverMist Maybe it's just some PR content from The Pokémon Company... but useless and disappointing. This "info" is already avail. elsewhere and if the answer is "it's entirely up to chance", then you might want to lump it in with an article covering ALL special evolutions in GO incl. the ones that require walking with a buddy. Everyone who wanted to find out has already done so by googling it. I understand NL have to cover Ninty's mobile offerings but please let's be reasonable about real estate here. You might want to make the next guide on which 'mons will be receiving new evolutions in 4th gen which is so close so users can save certain mons b/c they might have discarded them thinking they were weak. Not every GO player knows all about each generation's offerings. In Ruby/Sapphire/Emerald it's a dice roll that happens when catching Wurmple. In Pokémon GO it's a dice roll that happens when evolving Wurmple. Did Nintendo Life just wake up to the fact that Pokémon Go is still very popular? @Baker1000 Today is Pokemon Day. I guess they are scraping the bottom of the barrel for content for that fact. LOL, Nintendolife you are drunk. This site's delivery of news and information has really become laughably useless. Glad I rarely check the front page anymore. It's unfortunate, used to be so good too. It’s based on time of day - evolve in the daytime for Cascoon and nighttime for Silcoon. NintendoLife, stop issuing these Pokémon GO Guide articles. They're always wrong, or like this one, a complete click-bait/useless article. It's clear Glen Fox knows nothing about Pokémon GO and really doesn't care to. This Guide is so completely useless. And why is the article dated June 11? I know I'm in a different time zone here in The States, but I didn't know you guys are a full 5 days ahead of us! @SuperC142 plus if you look at the comments, they date as far back as Feb 27. So the date has been changed. @ShadJV oh wow its an article from the future with comments from the past being posted on the today! Yea, I already knew this one was a bogus conclusion. News announcements for Pokemon Go are fine, but this just makes me frustrated. Seriously, even posting news articles on when EX pass rotations go live is more informative...and a new wave went live yesterday as a matter of fact. @ShadJV I thought maybe it was referring to June of last year, but that seemed too early. I checked and, sure enough, the first Gen 3 weren't released until October 20, 2017. So, as you correctly pointed out, they had to have changed the date and, for some reason, they set it to a date in the future. Wacky. Of all the Pokemon Go content... This is not something anyone really needs help with. Wurmple isn't that rare. Just evolved a couple until you get a Cascoon and a Silcon and then evolved those. GG. Now, if you have some secret about how I can find a Porygon, then we will talk! @LexKitteh except the Eeveelutions aren’t totally random in Go (at least the first time). There’s a method with nicknames that gets you the evolutions if you haven’t logged it in your Pokédex yet. Cut Glen some slack, guys. At least now we know that there isn't really an influencing factor. That's something, right? I mean, he did set out to inform us, and he informed us. Albeit in a clickbait-y way. But he did! @MH4 Thanks! I appreciate the understanding. We regularly check top Google searches for Pokémon GO, and one of the highest is how to evolve Wurmple. The proof is in the pudding that this is now one of our highest trafficking Pokémon GO guides, and it continues to do well. We don't just hammer out guides at random. We take a data-driven approach and answer questions already being asked. And no, there doesn't seem to be a way to force an evolution with Wurmple, but as MH4 says, I believe there is value in at least letting people know that there ISN'T an influencing factor, so you can put your mind at ease. I certainly don't see the harm in it – we're not tricking people, just answering the question they want answered. We completely understand that there are a percentage of you that don't want these articles in the feed, and are working on putting them in their own section. But at the same time, no one's forcing you to read them. There's plenty more content on the site to keep you busy, so perhaps read that instead? It seems to be related to the weather conditons at the time of evolution. My partner and I experimented. Those we evolved when weather was clear wound up being Silcoon, and those evolved while it was raining turned into Cascoon. Hope this helps! @FoxyGlen The problem isn't that you're telling people that there isn't a known technique, the problem is the disingenuous headline which has been written in such a way as to claim that a technique lies within the article. I remember this article when it was first published and being somewhat irritated at its duplicity, but not enough to comment as I had fallen out of playing Pokémon Go at the time. Now that I'm back into it, I went searching for a technique, found this page, and now feel I've been duped twice. I'm already over it, but while you say you're not tricking people, I can say I felt tricked. I think it depends on weather conditions. When I got my three Silcoons it was rainy, today is pretty sunny outside and I got Cascoon for the first time. Try it and tell me if it worked like that for you too. It looks like when your avatar is female you get a silcoon and when you have a male avatar you get a cascoon. I found out when my girlfriend was going to evolve a wurmple, she always got silcoon and I always cascoon. So i decided to changed my avatar to female, restarted the game and immediately got a silcoon. I forgot to film it but next time I will and put it online. This article was almost useless! But it did get me thinking about the differences for a male and female. I evolved three wurples in a row 2 males and they evolved to cascoons and the female evolved in to a silcoon... could be chance could be something to look into. I guess if you aren’t a disgruntled gamer the article is fine. It touched upon all of the ideas while admitting no consistency has been found for said therories. I got a Cascoon (male) on a sunny morning and Silcoon (female) at night (I dont remember the weather conditions, but maybe it was clowdy). So, night/day, gender and the right weather in my case, I am not sure what what did the trick. Also my cascoon was male.....and it's a cold gloomy November 30th day. No sun. I got silcoon from male wurmple and cascoon from female wurmple. I evolved both of them at night.